Steven Spielberg and writer / director J.J. Abrams comes the latest in the U.S. Summer blockbusters. Set in the summer of 1979, Super 8 follows a group of school kids shooting a zombie film on Super 8mm in the hopes of getting it into the amateur film festival. During a night of guerrilla film making they witness the crash of a U.S Air Force freight train travelling through their town in the cover of night. Over the next few days a series of unexplained events begin to occur and despite their best efforts the kids are landed smack bang in the middle of a fight between the government and whatever has escaped from the train wreck. 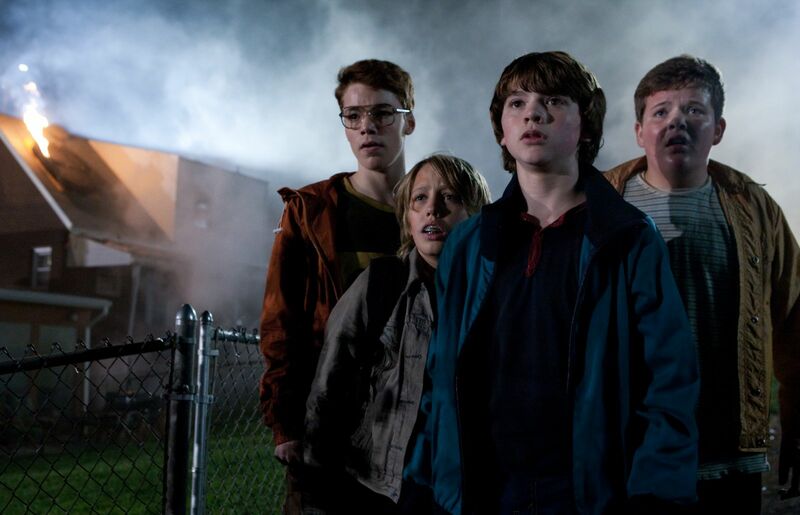 I was hoping that Super 8 would be a return to the 80's kids movies I grew up with (E.T, The Goonies and Stand By Me) and in some ways it is a homage to them, but the film is targeted to a more adult audience, which makes me question why the main characters are school kids? It is not difficult to spot that J.J Abrams was influenced by the early 80's and more specifically the films of Steven Spielberg, take for example that the two leads come from broken homes, they live in a small town where there is very little for them to do and that the whole film is basically an action movie version of E.T. As was usual for these films the adults take a back seat and let the kids drive for a change and the performances and casting of the kids is spot on. The two main leads Joel Courtney and Elle Fanning give believable and engrossing performances, whilst the rest of the geeky crew slip into their roles with relative ease. During the second half the film turns into more of a creature feature and it is during this time that it suffers most. Whilst it has become somewhat cliche to hide your creature from the audience until the last minute (again we can thank Mr. Spielberg for that!) Super 8 gives us a fairly good look at what exactly is causing all of this destruction and mayhem, but by doing so takes some of the mystery away from us. The last 20 minutes or so seem a little rushed and the explanation for what exactly is going on seems a little forced. 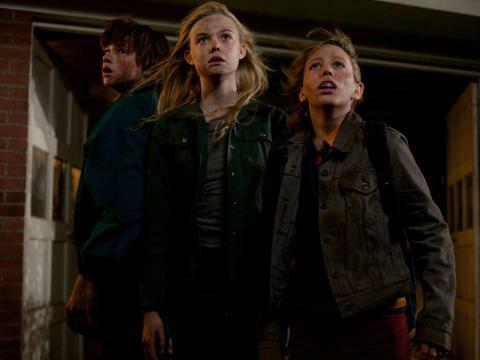 Having said all of that, Super 8 is still quite the adventure and certainly provides the sort of thrill-ride Hollywood used to give is with its Summer blockbusters and whilst it may not be the most original thing out there so far this season it is refreshing reprieve from comic book adaptations and sequels.